Chicago: Field Columbian Museum, 1905. Small 4to. Stiff tan wrappers. Pp. 65-113. Very good. Heavily-chipped printed outer wrappers archivally mounted to new stiff archival outer wrappers. 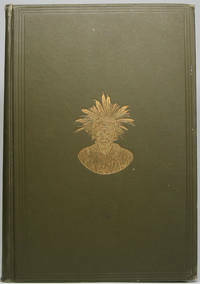 Handsome first edition of Publication 100 in this institution's "Anthropological Series" (Vol. VI, No. 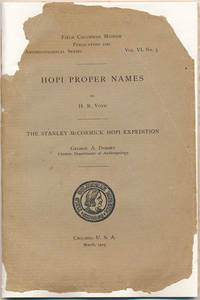 3), part of curator George A. Dorsey's Stanley McCormick Hopi Expedition. Quite scarce. Glendale, CA: The Arthur H. Clark Company, 1955. Hardcover. Small 4to. Light blue cloth with gilt spine lettering, pictorial dust jacket. 210pp. Frontispiece, illustrations. Near fine/very good. 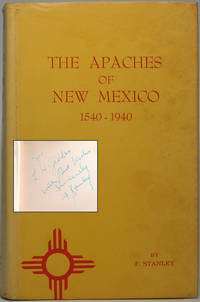 1958 ownership signature on front pastedown, where he adds a Frederic Remington style "My Book" and a brand-like symbol; jacket mildly edgeworn only. 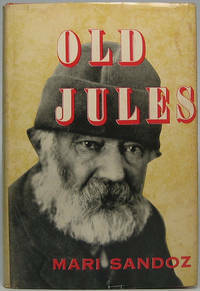 First edition in the seldom-seen dust jacket. Norman: University of Oklahoma Press, 1957. Hardcover. Introduction by Walter Prescott Webb. Small 8vo. Brown marbled paper over boards with gilt spine lettering, pictorial dust jacket. xxi, 179pp. Illustration. Near fine/very good. Mild jacket edgewear. Quite tight, attractive first of this modern edition, ninth title in "The Western Frontier Library" series. 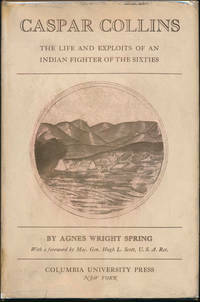 First published in 1859 (RADER 2215) and a classic. Pampa, TX: Pampa Print Shop, 1962. Hardcover. 8vo. 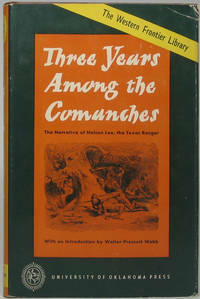 Yellow cloth with red lettering, dust jacket. v, 449pp. Very good/very good. Minor jacket edgewear, with sunned spine; faint binding edgewear, else internally fine. Quite nice and tight first edition of this in-depth study, inscribed and signed by the author in blue ballpoint on front flyleaf: "For / L.H. Geddes / With Best Wishes / Sincerely / F. Stanley." "F. Stanley" was the nom-de-plume of the mysterious Father Stanley Crocchiola (1908-96), a Catholic priest in Texas whose passion for writing history led him to author a prolific number of Western histories -- by one count 177, by another count 190. While some historians criticize him for factual errors, many others applaud his original research. Norman: University of Oklahoma Press, 1962. Hardcover. Introduction by Oliver Knight. Small 8vo. Brown marbled paper over boards, pictorial price-clipped dust jacket. xxxix, 358pp. Frontispiece, illustrations, maps. Fine/very good. Faint jacket wear. Second printing, tight and attractive, of this "Western Frontier Library" series title -- originally published in Chicago in 1890 (GRAFF 1325, HOWES F 136, RADER 1384). New York: Columbia University Press, 1927. Hardcover. 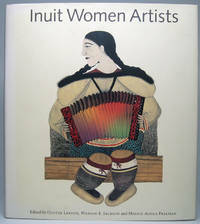 Foreword by Hugh L. Scott. Small 4to. 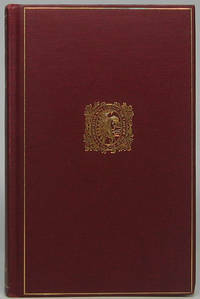 Brown cloth with gilt spine lettering, pictorial price-clipped dust jacket. 187pp. Frontispiece, 11 full-page called-for plates. Near fine/very good. Jacket a bit edgeworn and moderately rubbed and soiled. Quite tight and lovely first edition -- and scarce in the jacket. RADER 2966. Washington, DC: Government Printing Office, 1907. Hardcover. 4to. 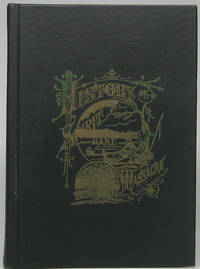 Olive green blind-ruled cloth with gilt spine lettering and front board pictorial stamping. xl, 846pp. Chromolithograph frontispiece, numerous full-page plates and couple chromolithographs, line drawings. Very good. Minor binding edgewear, else internally tight and bright and near fine; light ownership signature on front flyleaf. A tight and nice first edition, with Holmes' "Administrative Report" followed by an "Accompanying Papers" -- Stewart Culin's lengthy and detailed "Games of the North American Indians." Washington, DC: Government Printing Office, 1901. Hardcover. 4to. Olive green cloth with gilt spine lettering. 261pp. Frontispiece. Very good. Bit of faint edgewear, with small scuff midway up spine, else internally tight and near fine. 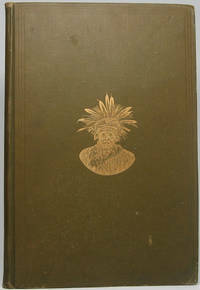 Tight, attractive first edition of Bulletin 26 of the Smithsonian Institution's Bureau of American Ethnology reports, a notable study by the influential "Father of American Anthropology" (1858-1942). Front and inner flyleaves and rear and inner flyleaves bear name/address inkstamp of noted Minnesota numismatist Arthur O. Bredeson (1906-88). Washington, DC: Government Printing Office, 1910. Hardcover. Small 4to. Olive green cloth with gilt spine lettering. vii, 116pp. Foldout map frontispiece, numerous illustrations and full-page plates. Near fine. A superb and tight first edition of Bulletin 37 of the Smithsonian Institution's Bureau of American Ethnology reports -- here a (to cite title page) "Report on Exploration Made in 1906-07 Under the Auspices of the Archaeological Institute of America." By BUSHNELL, David I., Jr.
Washington, DC: Government Printing Office, 1909. Hardcover. Small 4to. Olive green cloth with gilt spine lettering. ix, 35pp. 22 full-page plates. Very good. Faintest of binding wear, else tight, clean and internally near fine, with spine gilt bright. A quite lovely first edition of Bulletin 48 of the Smithsonian Institution's Bureau of American Ethnology reports. Des Moines, IA: Wallace-Homestead Book Co, 1971. Hardcover. Small 8vo. Black cloth with yellow lettering and pictorial stamping. 386pp. Illustrations. Near fine. 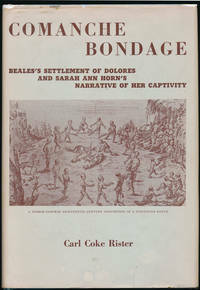 Much, much later facsimile reprint of one of the most famed of all Indian captivity narratives, first published in Des Moines in 1885. The Spirit Lake Massacre was a noted 1856 incident in which a small group of Sioux in northwestern Iowa attacked and killed 35 to 40 white settlers and kidnapped four young women, including 14-year-old Gardner. AYER 263. HOWES S 330. New York: A.S. Barnes and Company, 1934. Hardcover. Small 4to. Orange cloth with black lettering and decoration. xiii, 111pp. Line drawings, music notations. Very good. Faint binding edgewear; light age toning to pp. 66-67 from long-ago newsprint contact. Tight and attractive first edition of this how-to of a dozen ancient Mexican dances.